Books I Want To Read is a biweekly feature where I post a picture of a book I’ve seen in the wild that I want to read. Today’s book I want to read is The Buried Giant by Kazuo Ishigiro. This cover, is lovely. I definitely shop for books based on their covers. A striking image or style always pulls me in to read the jacket copy. And this one… whew! It sounds epic and moving and romantic and emotional and powerful. “The Romans have long since departed, and Britain is steadily declining into ruin. But at least the wars that once ravaged the country have ceased. The Buried Giant begins as a couple, Axl and Beatrice, set off across a troubled land of mist and rain in the hope of finding a son they have not seen for years. They expect to face many hazards—some strange and other-worldly—but they cannot yet foresee how their journey will reveal to them dark and forgotten corners of their love for one another. 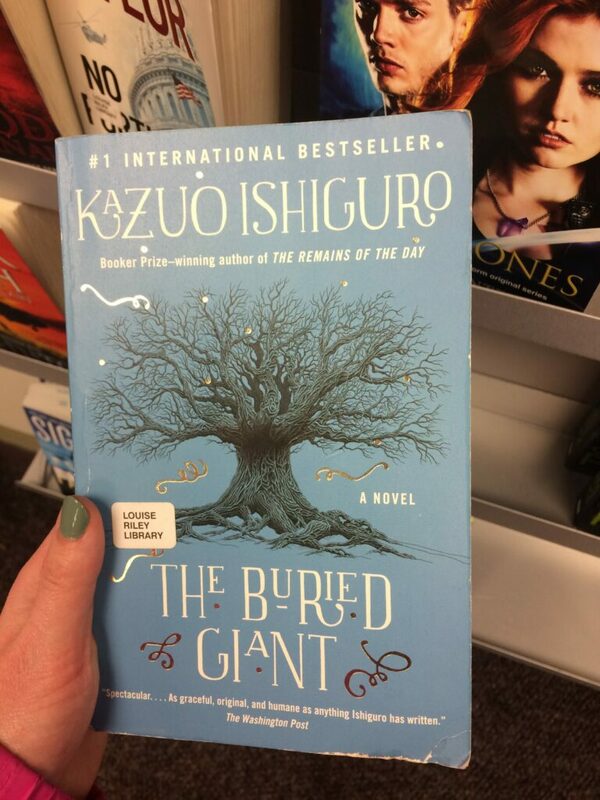 Have you read The Buried Giant? What did you think? Hehe… a book in the wild… awesome!